Blogs today have become an essential part and needed for most of the generation worldwide. Life was never so tech savvy before this. Whether one needs advice, needs to share a personal experience, be aware of the views on any topic, all one needs is to gear up and punch in a few keys and write a blog. With the birth of blogs, conventional writing has taken a back seat. Ink is replaced by the keyboard and readers are targeted globally. Blogging gets you the reactions from worldwide. It provides a place to say it and be heard. In general, ‘blog’ used to mean a personal online diary, typically concerned with boyfriend problems or techie news. But after September 11, a slew of new or refocused media junkie/political sites reshaped the entire Internet media landscape. The blog now refers to a Web journal that comments on the news — often by criticizing the media and usually in rudely clever tones — with links to stories that back up the commentary with evidence. It’s a great way of meeting new people, globally or locally. Blogging helps to spread ideas and connections beyond geographical boundaries. You can connect with your friends, family or fans to let them know what you think about certain issues. You can ask them about their opinion or share important happening in their lives. Most people look at professional bloggers (like Harsh) and think, “Oh, all I have to do is write a few things, click a few buttons, and I can make a lot of money!” But this is very, very, very untrue. 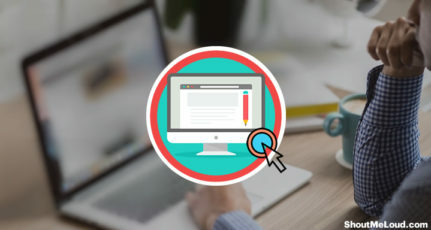 Since the large part of the population is internet friendly, a lot of companies see it as a profitable exercise to blog and advertise their company. Through the blogs, they can also get reviews on their products and hence test the waters. It’s a great platform for the branding of the products. You can talk about your products and its features, how it works etc. Inform the readers about the new products that are to be launched in the future and answer their query on the same. Blogging helps to bring in together the people who think alike. When you blog on a certain topic. Sometimes they help you to take your thoughts forward. Through blogs a lot of idea sharing takes place, that couldn’t have been possible otherwise. This is one of the reasons why people blog. Sometimes it just takes a simple move to start something big. Many blogs are issue-based, meaning the blogger is trying to provide information to sway people’s thinking in a certain direction. Many political blogs and social issues blogs are written by bloggers who are trying to make a difference in their own ways. Such blogs bring people together and connect them. For example, if you see any injustice and you raise your voice about that on your blog so that lots of people react on that and probably there could be a mass movement. It’s an excellent way to promote yourself in the field of one’s’ expertise or interest. By writing blogs one can share the knowledge as will showcase your skills in front of your potential employees, who would read your blogs. This will also help legitimize your expertise and expand your online presence and platform. It also helps in promoting your credibility. A lot of blogs are written to help people going through a certain phase or circumstances. Like break-ups, disease, parenting, depression and so on. It is difficult to talk to someone personally on these topics. Such blogs work in a therapeutic way for such people. It also makes them feel that they are the only one going through such a phase, but there are so many others who are going through the same situation. Personal blogs are a great medium to stay in touch with the family and friends, whom you cannot see every day. To let them know what you feel about them. Make them feel special. Share what is going on in your life or advice them on certain topics. It not only gives you readers who might admire your workpiece but also gives your confidence a boast. One also has the liberty to write semi-professionally. By writing online open journals one can create a record for future, for personal use like kids and family so that they can refer to it in the future. There are almost half a million blogs available on the web, they cover almost every topic. One can gain and share information on the topic of interest. 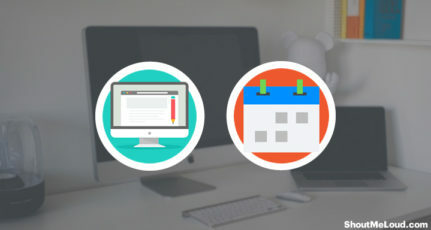 Updating blogs regularly with the latest information is a perfect way to stay abreast with the events in a specific field or topic. There are certain things, which are to be kept in mind while writing a blog. A blog should be updated regularly with the latest information otherwise, is considered as a static web page for the readers. This, in turn, will mean less credibility for the blogger and even less traffic on the blog. Before starting with the new blog, it is essential that you should define a goal for it and what do you want to accomplish out of it. You should know who are your readers and blog should be written in order to meet their expectations. Your blogs should reflect your personality and not something you are not. These are some ways that will help you sail smoothly. 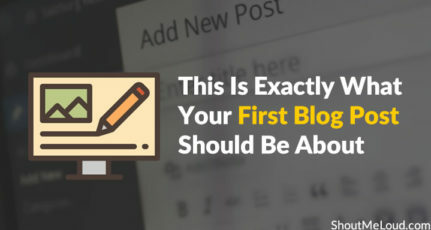 Do let us know other reason why one should start blogging now? Websudasa is a web marketing company to provide all type of web marketing services like SEO, PPC, Social Media & Content Writing. I been considering starting a blog; however I am not exactly sure which direction to take. So I read a few of the posted comments to get an idea of some blogger’s thoughts and expectations; and I noticed many have similar interests; but, however, neither had any possible links to their blogging sites. sorry my question may seem rude, but thats just my curosity. I am a fashion designer, i have read few blogs. i donot understand. why people write blogs. I a,m curious to know the reason. How can any body waste time just writing about personal things, i mean it takes lots of effort, pictures, photography, data transfer. If someone ll ask me, in this busy life of job and family, I dont find time for any such thing, apart from facebook ;P to spread awareness, to post, without any reason, especially when money making is not there. I really want to know, Is blogging has any money making in it. If yes, then at what stage, and how. If no, then why are people getting mad over blogging. sorry my question may seem rude, but thats my curosity. Mahak, The people are not getting mad over blogging. Blogging is not just about money making, here you can share your ideas your thoughts and your expertise with your audience. If you want to earn money through blogging there is a lot of ways to make money through blogging. There is no stage require it just depend on your effort and hard work, as soon as you will build your audience as your chances will be increases to make money through blogging. We, humans, are bound to follow the trends, as blogging become successful more and more people want to be a blogger, people start blogging for any reason but if the process of blogging interests them they continued if not they stop writing. 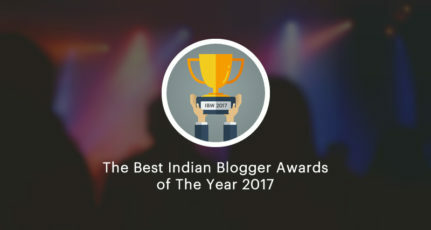 The process of writing or blogging is not trouble-free absolutely, at the same time it is not a Herculean task, it basically depends on person to person, one can rewrite an article with utter curiosity for several times to make it perfect, another one has displeased with this rewriting and editing process.